When Lancia introduced the Stratos HF to the world as a 1973 model, the angels in Heaven sang in unison as the wedge shaped Italian classic would go on to win the World Rally Championship from 1974 to 1976. The Stratos was not just a sharp looking vehicle designed by Marcello Gandini for the famed Gruppo Bertone, it was a tiny titan leaving rivals choking on the dust trails it left behind. With 1973 providing hits from Marvin Gaye (Let’s Get It On), Lynard Skynard (Freebird), Elton John (Goodbye Yellow Brick Road) and other generation transcending favorites, the Lancia Stratos HF is in great company. Sadly with less than 500 examples produced, the Stratos’ swan song was sang in 1978. The charismatic Ferrari powered little giant slayer drove away… forever. Or in this case, 40 years. It’s yet to be determined if any of 2018’s music will ever be relevant in a few generations time like those of the aforementioned artists. What can be predicted with certainty is the New Stratos becoming a true legend of the rabid automotive car culture. 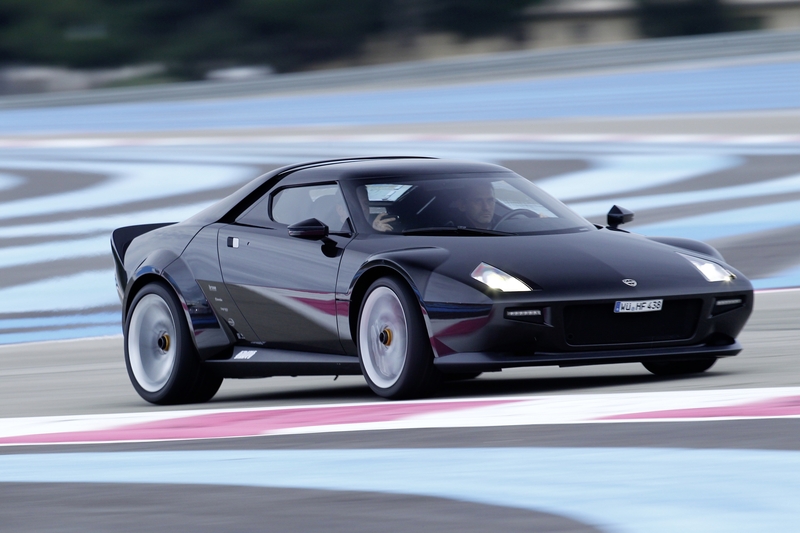 The New Stratos is no longer just a thought, no longer a composition waiting to be penned to a music sheet. The vinyl has been pressed and all thanks to the great people at Manifattura Automobili Torino (MAT). The Italian design studio was founded in 2014 by Paolo Garella. The same Mr. Garella who was the head of special projects while at Pininfarina and eventual project manager for developing and building the first 2010 New Stratos on behalf of Michael and Maximilian Stoschek. A fantasy fulfilling example for Michael and Maximilian to enjoy and no longer have to only dream about. Now the entire planet knowing a Stratos for modern times was possible, many birthday cake wishes were being made with that in mind. Eight years after the Stratos for the Stoscheks, those wishes are coming true for at least a handful of others. The run of the New Stratos is limited to only 25 examples, however it’s still 25 more than zero and we are all grateful. The exclusivity of this incredibly designed limited production machine makes it a definite top of the list for collectors and enthusiasts. Given their knowledge and experience, it’s not just for show either. The New Stratos has some in house racing history to draw from as well. The young company has successfully combined their collective experience with auto racing, using such a car as the SCG003C race car, which Paolo Garella was heavily involved with while still at Pininfarina. It might not sound familiar but the SCG003C attained pole position for the 24-hour race on the famous Nürburgring in 2017. The very same track in Germany known as the Green Hell, for understandable reasons. 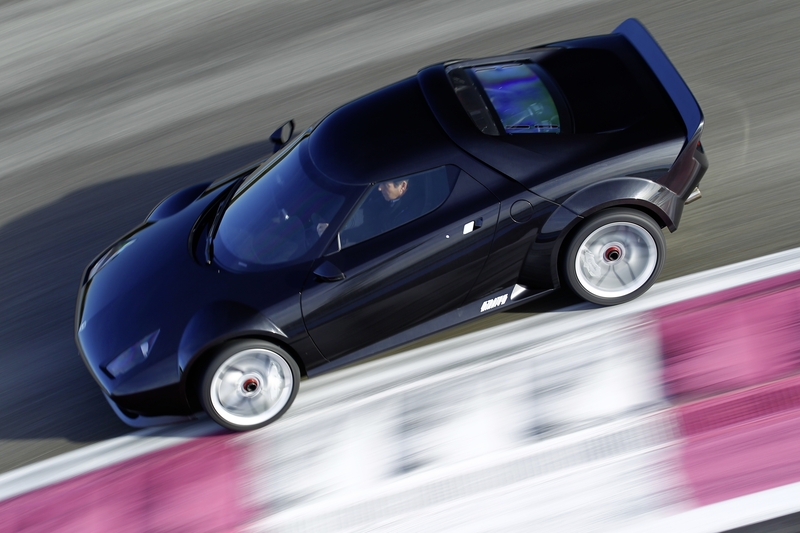 So the New Stratos has some racing pedigree in it, a great designer and team behind it, what about performance? The answer to that question comes from a 4.3L V8 cranking out 540hp. The angels are not just singing together anymore, now they are performing finger tapping guitar solos that put Eddie Van Halen to shame. Capable of reaching 62 mph (100 kmh) in only 3.3 seconds, this new wedge slices the air in front of it without hesitation. Paolo Garella and MAT have created a car that looks fast, is fast and gained accolades fast. It’s what any car buff would expect coming out of Italy. Thus why it has grabbed so much attention since being introduced to the entire world at the 88th International Motor Show in Geneva in early 2018. 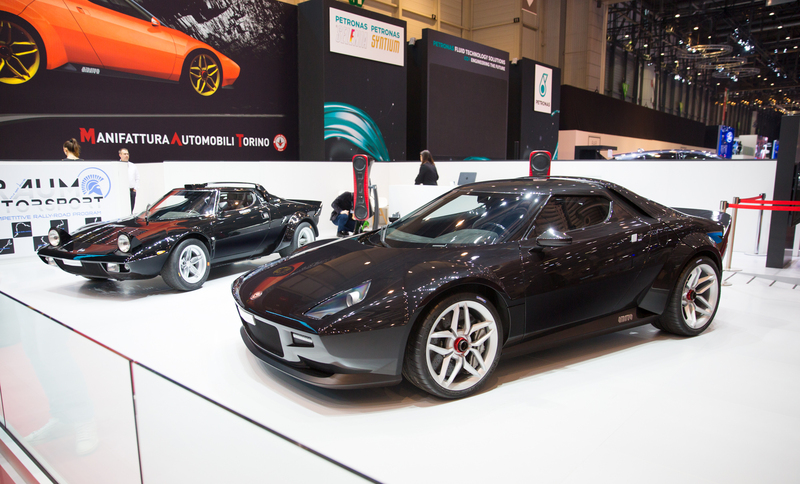 The electrifying black example that was on hand in Geneva was capable of stealing the gazes away from a pristine original Lancia Stratos parked right next to it. That is not something any ordinary car can do considering how rare it is to find an original Stratos. Two very different machines, yet inspiring the same craving from onlookers. The auto industry wasn’t exactly showing signs of a revival for the historic Stratos name, despite all the hopes of the many. Yet, here we are showcasing a machine that was literally born out of pure passion. Manifattura Automobili Torino have truly given the chance for a few more people to own a magical piece of automotive design and engineering. It’s no coincidence the same year the first Stratos came into existence was also the very same year Aerosmith released their extremely popular hit Dream On, which is exactly what many have done and some will achieve. 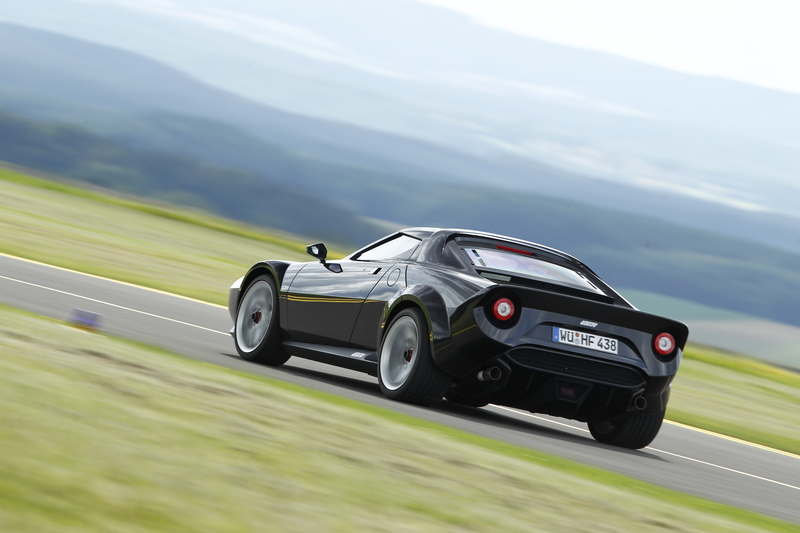 Undeniably the New Stratos is the perfect symbol of what an automotive reverie is. Although, we strongly recommend you best enjoy it while wide-awake.